Southern Europe has a lot of amazing places to visit. The most exciting part of it are the areas around the Mediterranean Sea, where ancient cultures meet with the turquoise waters and beautiful landscapes – from rocky hills to golden, sandy beaches. From Greece to Spain, you will find a lot of dreamlike destinations a traveller has to visit at least once in his lifetime. Here below is a selection of 5 must-visit Mediterranean destinations that I definitely recommend to consider as first choice when planning a trip to Southern Europe. 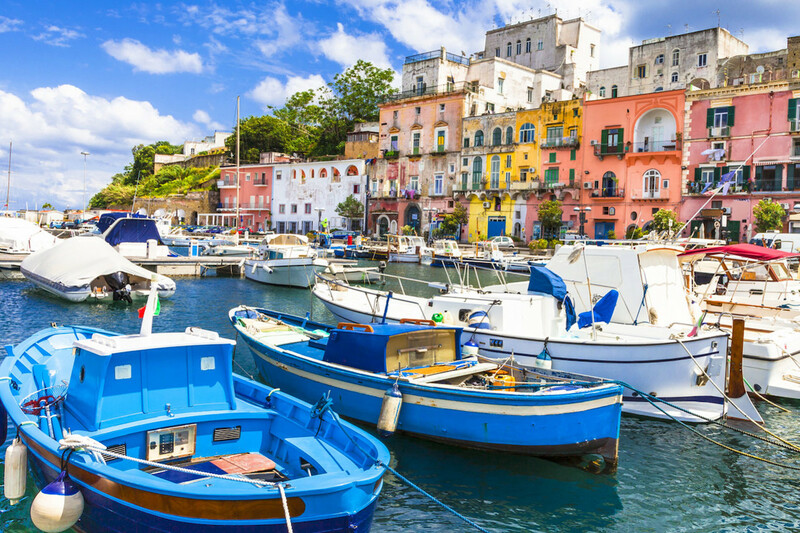 This Italian island located near the picturesque Bay of Naples, has been known as a holiday resort from the Roman times. You can get there only by ferry, private yacht or helicopter but you will be amazed by its relaxing lifestyle, the crystal clear waters and the delightful beaches. For your accommodation you can choose one of the five star hotels, like Capri Tiberio Palace. If you want to taste the local cuisine in a fine dining restaurant, try Da Paolino, a meeting point for celebrities. The two best sightseeing points are the Gardens of Augustus, a huge garden built in different levels facing to the sea and the Blue Grotto, a cave into the sea where the sunlight and the waters create unique shades on its rocky walls. Cannes’ grandeur is well known worldwide, mainly thanks to the Festival de Cannes gathering Hollywood movie stars every year, just before summer. The beauty of the city and the sea views it offers, as well as the large number of five-star hotels and villas, are enough to convince the finest world travelers. 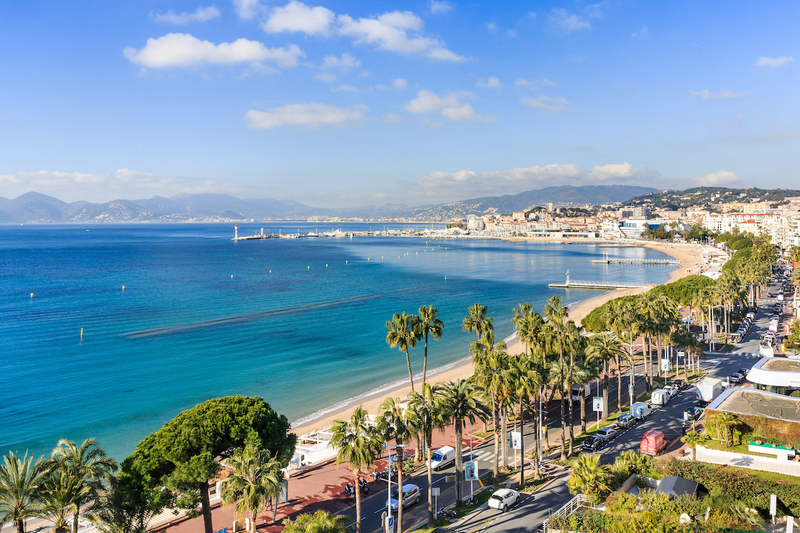 Walking along the Croisette, visit the Palais des Festivals, the marina, going through the charming city center, taking a boat to Sainte-Marguerite island… There is so many things to do in that jewel of French Riviera that make it a great Mediterranean destination. 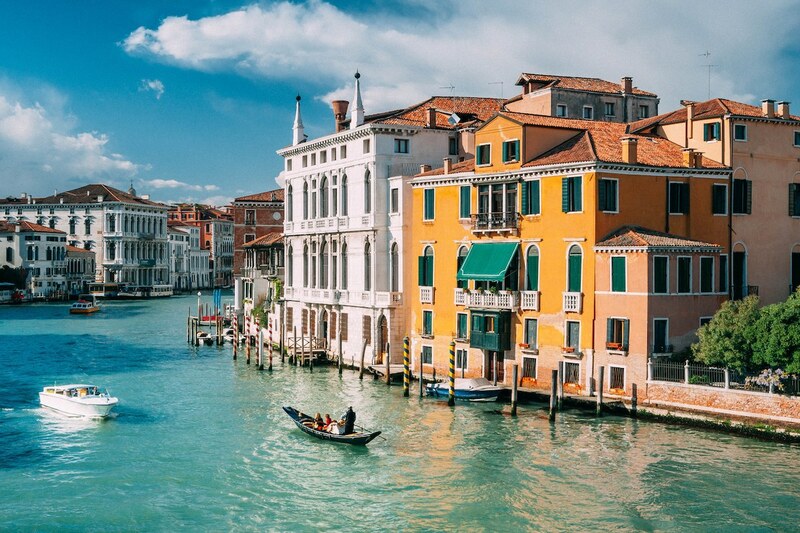 Venice is a city built on a group of 118 small islands separated by canals and joined together by bridges. It is located in the homonymous marshy lagoon stretching along the coastline between the estuaries of Po and Piave Rivers. Venice is a destination renowned for the beauty of its location, its architecture and artwork. The city is listed as a Unesco World Heritage Site. Venice has a unique architecture as many of its houses are built literally next to the waters. The most visited attractions are the Piazza San Marco, the Grand Canal, the Doge’s Palace and St Mark’s Basilica. Lido di Venezia is a famous luxury neighborhood, popular among VIPs, movie stars and jet setters. This small Cycladic island is located at the Aegean Sea in Greece. It has become famous during the last decades for its crazy parties and its elegant way of living. Rich and famous people from all over the world gather on its long, sandy beaches and spend the nights partying at its famous clubs. Mykonos has a lot of five star hotels, but the really luxurious accommodation on the island is renting a private Mykonos Villa. Mykonos Luxury Villas offer privacy, extreme luxury and spectacular views to the famous Cycladic sunset. 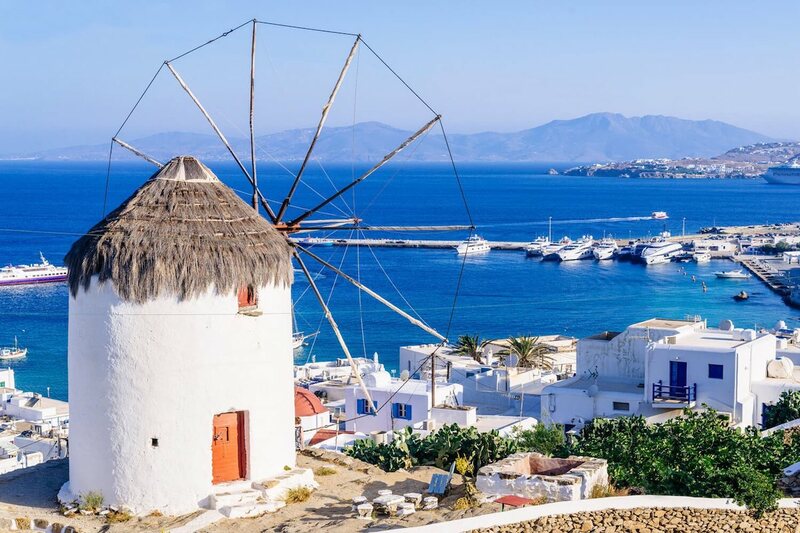 While you visit Mykonos, don’t miss the Windmills, Little Venice, Delos and Rhenia islets and of course fine dining in some of the best gourmet restaurants. The Spanish island of Ibiza is well-known to the world thanks to its wild nightlife. It attracts hundreds of celebrities each year who choose Ibiza for their summer vacations to enjoy the luxury and the wonderful landscapes of the island. Among its returning visitors you will find Paris Hilton and Kate Moss. Ibiza is an ideal destination for luxury, gourmet dining, relaxation and clubbing. 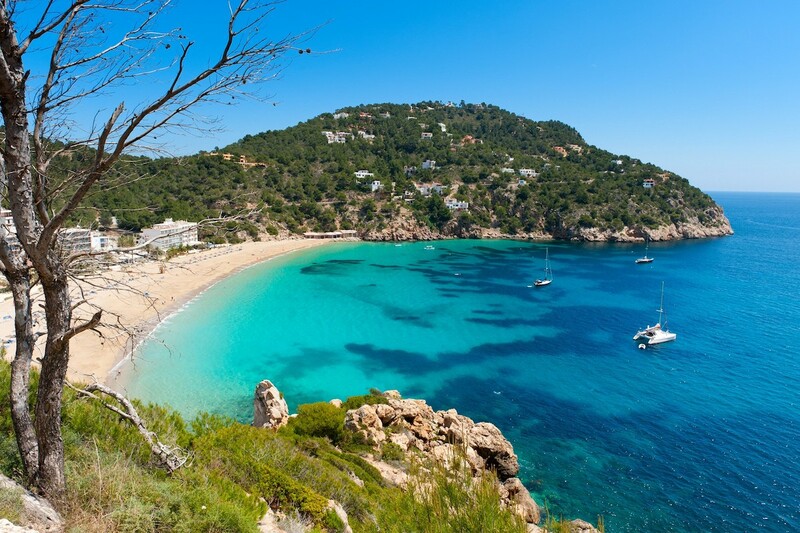 Apart from the famous beaches and crowded night clubs, Ibiza has a lot of amazing, peaceful hidden spots like small serene beaches, picturesque small villages, caves and beautiful, natural areas. For a special accommodation we recommend the Soulshine Retreats Ibiza, a yoga oriented luxury complex of villas, the Migjorn Ibiza Hotel and Spa or the holistic Body Camp Ibiza, where you can detox your body after the frenzy nights on the island.